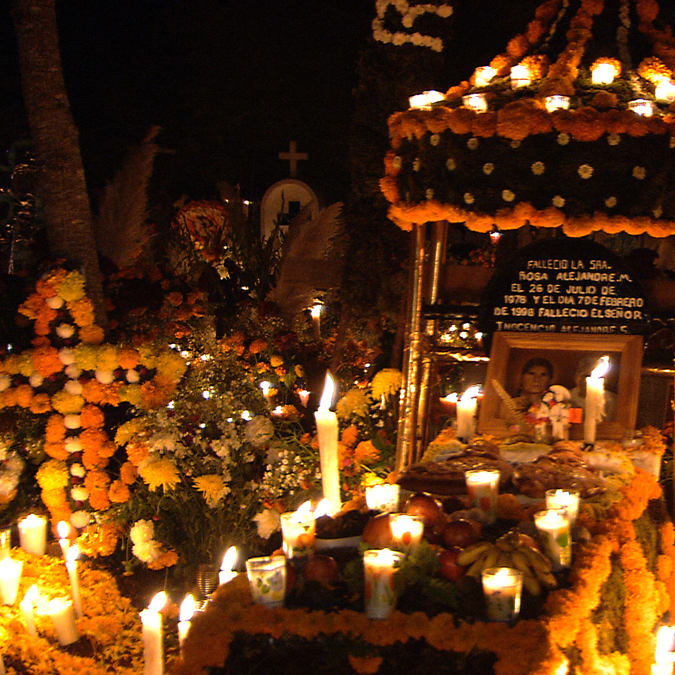 Dia de los Muertos or The Day of the Dead is a celebration practiced in Mexico that focuses on communities that gather in honor of their friends and family members who have passed away. 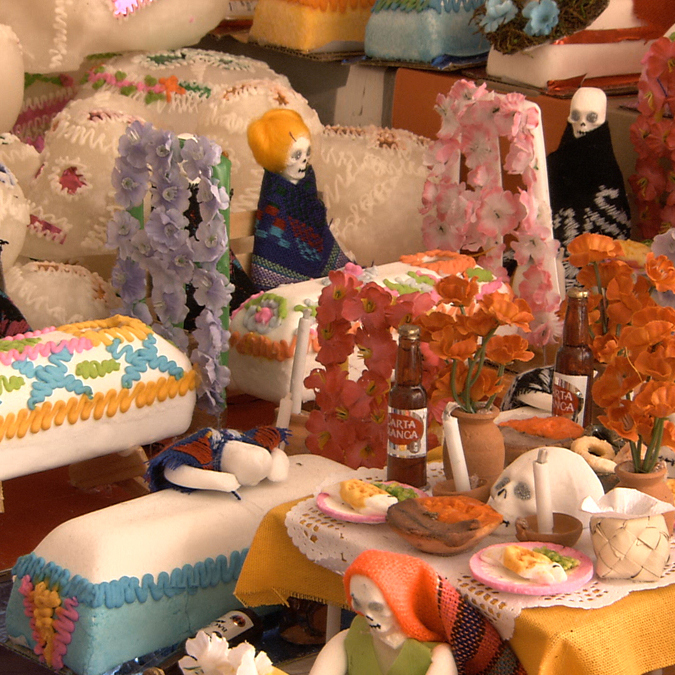 Traditions connected with the holiday include building altars and decorating them with marigolds and colorful basket offerings, sugar skulls and bread shaped like humans, called Bread of the Dead. 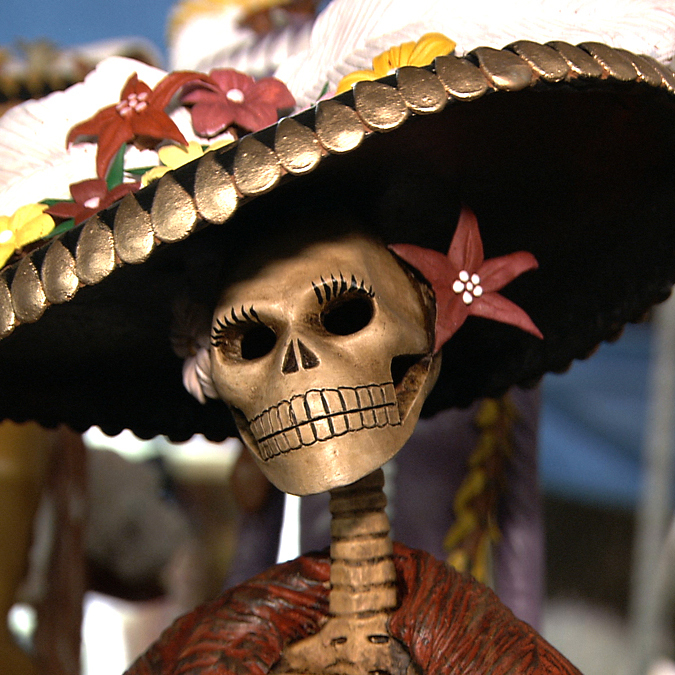 The departed’s favorite foods and beverages are placed on the graves and alters. 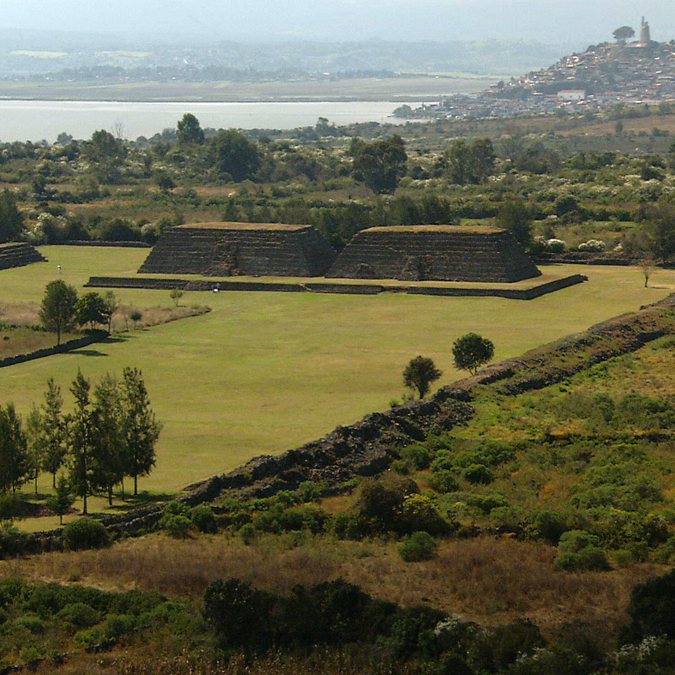 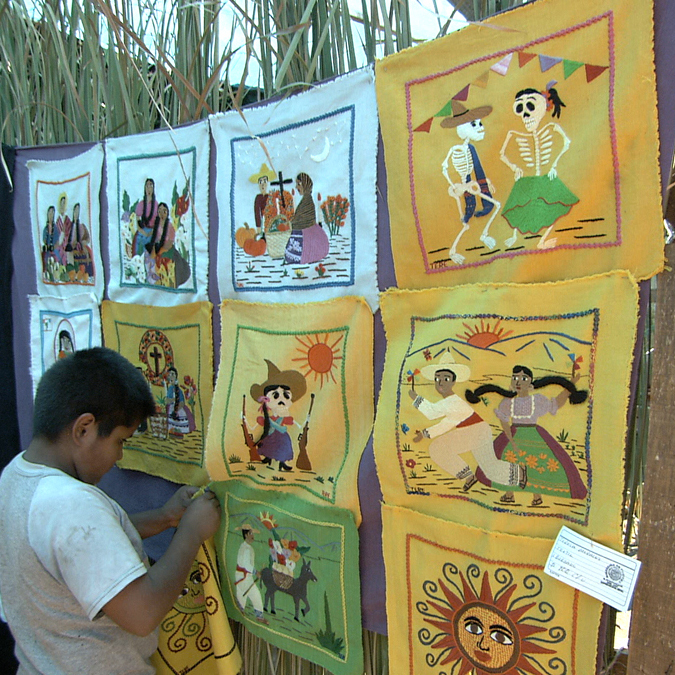 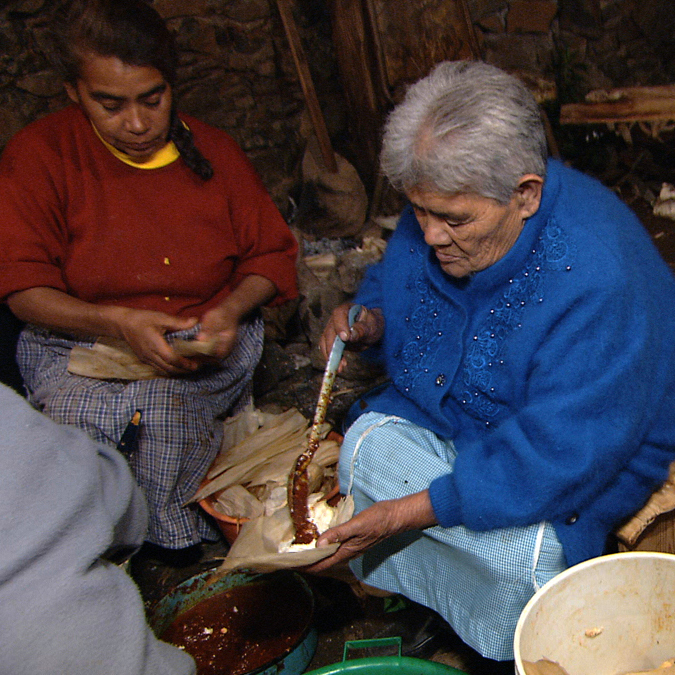 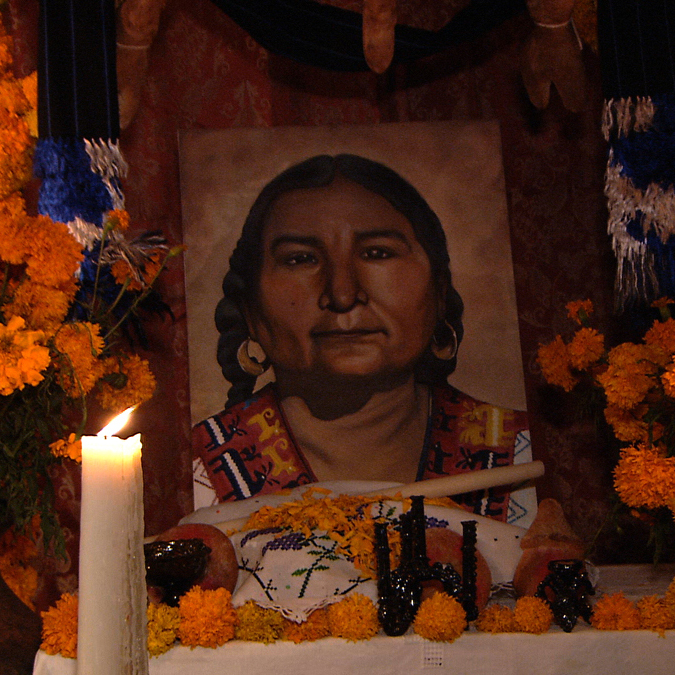 In the Mexican state of Michoacan this event is still very unique because it draws influences from both indigenous and Hispanic cultures. 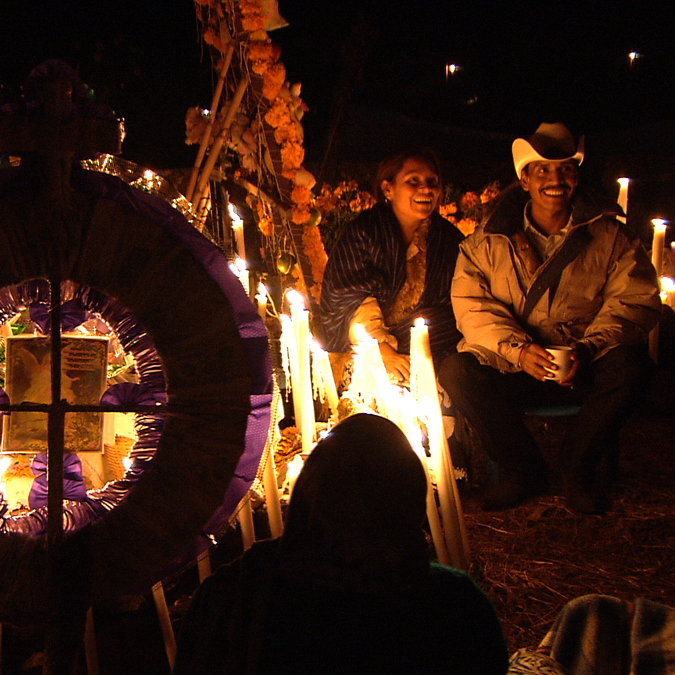 Here they stay by the gravesite all night long, hence the name “Night of the Dead”. 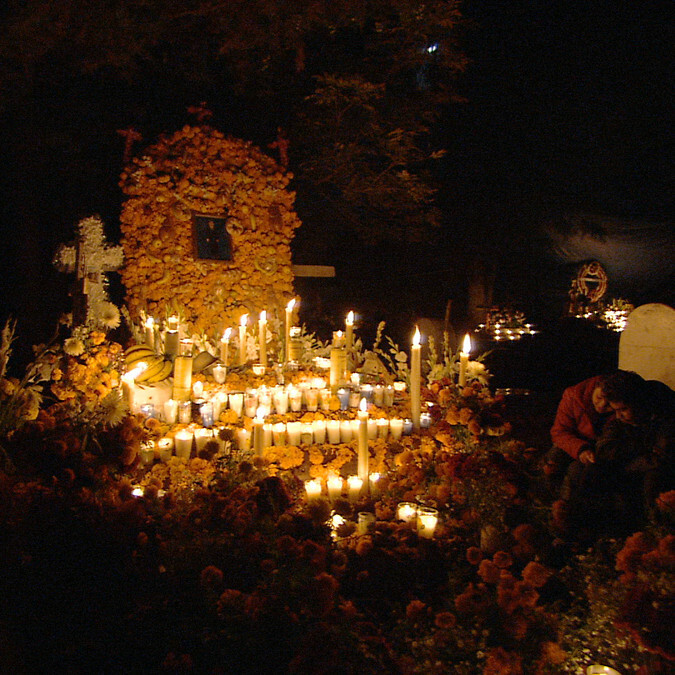 This event is not only beautiful with thousands of candles illuminating the darkness at the graveyard; it is also a gathering that warms the heart in the cold November night. 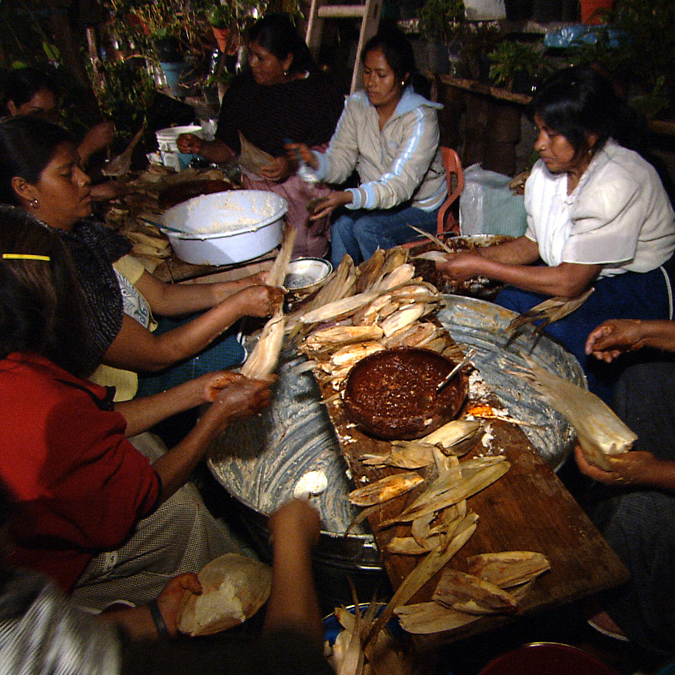 Other cultures in Latin America, Spain, and Asia have similar celebrations like the ancestor’s or “Kyu Bon” festival in Japan.